Paytm is one of the fastest growing online recharge services in India that owes its success to the company’s approach of providing the best services in the simplest way. Paytm was incubated in One97 and was well received by customers because of a more optimized and user-friendly experience. The service is purely customer-oriented and has been designed keeping in view the needs of customers. Paytm was officially made available to customers in India in April 2011 and by November last year the company registered over a million subscribers which is a phenomenal achievement in itself. 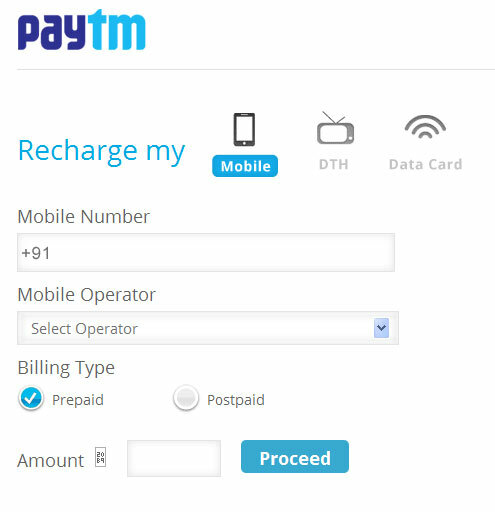 How to Recharge online with PayTM ? Visit PayTM official site, then simply enter your mobile or DTH number, It will automatically detects the name of provider. Enter the amount of money you would like to use for recharge. Follow the simple steps like Netbanking, Credit card or other payment option. That’s it, PayTM will recharge on your mobile phone less than a minute. While recharging your phones, PayTM offers additional vouchers with your mobile recharge for the free of cost, You can select as much as vouchers with any type of recharge. Since its inception, Paytm has been driven with the sole objective of formulating the best possible experience for customers. In adherence with this work ethics, Paytm has come up with many services such as Paytm Cash and 24/7 customer support in order to amplify user-friendliness of their services. By responding to the needs of their customers Paytm has continued to stay right on top in providing online recharge services to millions of customers in India. Today we can find thousands of satisfied customers behind this growing customer services company in one of largest countries in the world with over 1.2 billion people living in it. Besides its Simple UI, is the fact that it has various mobile apps for Android, BlackBerry and iOS devices and a Java-based app for Nokia phones. The field of eCommerce in India has undergone a lot of advancement in recent years, but experts believe that there still lies a lot of room for improvement. Paytm continues to make its contribution in the development of eCommerce in India by extending its recharge services every day to millions of Indians but the company still thinks that it has much to achieve yet. By constantly reflecting on the quality of their recharge services, the usability of their customer support and the company’s own shortcomings, Paytm continues to revise its business strategy to come up with better and more optimized services. By mustering up over a million registered users in less than eight months since April 2011, Paytm surely announced itself on the Indian eCommerce scene with all guns blazing but the company believes in setting up higher benchmarks. By undertaking continuous analysis of their current service standards, Paytm is raising the bar higher after achieving each benchmark to make sure that their customers never feel dissatisfied. 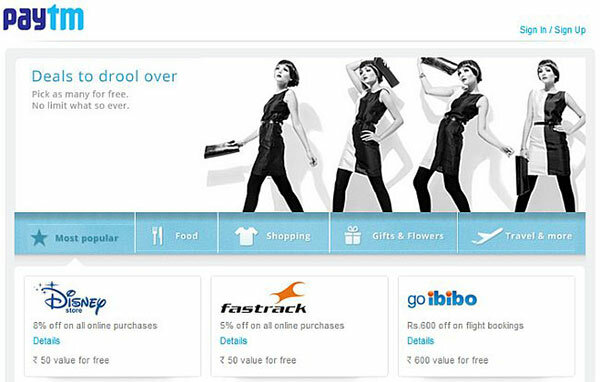 Paytm likes to connect with its customers to get their feedback while the company’s blog, Stay Charged, also imparts vital information about the upcoming trends in Indian eCommerce and the latest ideas they plan to implement. It is another factor every successful and reliable company have not only to provide quality services to a vast majority relying upon it but also to update them about their upcoming services and future plans to consolidate their position in current marketplace. As far as its partner companies are concerned, Paytm’s recharge partners include Airtel, Uninor, Aircel, Reliance, Tata Indicom and most of the other top Indian telecom services.